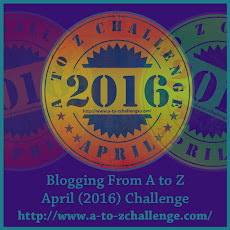 April is sneaking up on us, dear blogging friend, and we all know what that means in Blog Land: the A to Z Challenge — an annual extravaganza. Or, a full month of giving our blood, sweat, and tears. Ha ha. After four years of participation, I have to take this year off. However, I will not completely step away from blogging. No way. I plan to visit you as much as possible. Just can’t give it my all as work, travel plans, and overall life craziness demand my attention. To feel connected to the A-Z Challenge (and all of you), I will have a feature called Quotidian Bits — not a daily blogging event, but I plan to post often in April. What exactly is Quotidian Bits? Occasional posts featuring daily images I snap here and there (like the one above) and short descriptions. (Sunset: explosion of colors in the sky. The poetry of our world). So, Quotidian Bits is nothing long or overwhelming. I know how crazy April can get around here. See you around, dear friends. Love & hugs, and I leave you with another quotidian image: yours truly at work.